Following is a list of the questions College of Arts and Sciences (A&S) advisers hear most often from students, with simple, A&S-specific answers plus links to more information. Still have questions? Stop by the A&S Student Services Center (200 Clark Hall), call us at (205) 348-5970, email us at student.services@as.ua.edu, or make an appointment with an A&S adviser. The short version: All first-year students are advised by the College of Arts and Sciences Student Services Center in 200 Clark Hall. After you declare a major, you’ll be advised by someone (usually a faculty member) in your major department. Visit our main advising page or How A&S Advising Works for more information. If you’ve declared a major but it’s not listed in DegreeWorks, contact your major department. Your pre-program (pre-health, pre-law, pre-pharmacy) will appear as an “attribute” of your major. Look for it below the academic requirements. If your concentration is missing or incorrect, the College of Arts and Sciences Student Services Center in 200 Clark Hall can change that for you. Students may transfer half of the hours required for degree from a junior college. Once you have earned 60 hours from all sources (transfer work from junior and senior colleges, plus hours earned at UA), you may transfer only 12 hours from a junior college, so long as this transfer does not exceed the 60-hour junior college maximum. Students must meet College, major, and minor residency requirements. To be considered for scholarships, students must complete the consolidated scholarship application every year. Incoming freshmen must submit the application by December 15, 2014, while current students must submit their application by March 1, 2015. The application is available through myBama.. Students who complete the application by the deadline will be considered for all scholarships for which they are eligible, except for those offered by ROTC programs and the College of Continuing Studies. Please note that some scholarships require special application materials such as a writing sample or portfolio. If you’re applying for one of those scholarships, complete the myBama application first, then visit the A&S Student Services Center or the relevant academic department to find out how to submit your materials. Advising for current students begins in March for the upcoming fall semester and October for the upcoming spring semester. If you’ve declared a major, you’ll likely be advised by a faculty member in your major department — so pay attention to email from your department around mid-semester. Starting a few weeks before registration opens, many departments also post fliers in their buildings and make in-class announcements about advising dates. If you are a first-year student or have not declared a major, you’ll be advised in the College of Arts and Sciences Student Services Center. Incoming freshmen are advised during Bama Bound summer orientation. All first-year students, regardless of whether they’ve declared majors, are advised by the College of Arts and Sciences Student Services Center in 200 Clark Hall. If you’ve declared a major, you’ll be advised by someone in your major department starting in your sophomore year. In most departments, advising for the upcoming fall semester begins in March; for spring semester, expect to get advised in October. Watch for email, fliers, or announcements from your department directing you to sign up for an advising appointment. If your major is undeclared, you’ll be advised in the A&S Student Services Center in 200 Clark Hall — in March for fall semester, and in October for spring semester. Your advisor, whether a faculty advisor in your major department or a College advisor in the A&S Student Services Center, will clear you for registration — remove the registration hold on your account — after you’ve been advised. For internship opportunities, there are two places you can go. First, talk to your faculty advisor or another faculty member in your major department. They’ll be aware of the opportunities available in your field and know how to apply. Visit your department’s website, too; many departments post internship opportunities online. Second, visit the Office of Experiential Learning to learn about more opportunities available to you as a student. You can register to audit a course with the approval of the College of Arts and Sciences Student Services Center (200 Clark Hall). The deadline for registering as a course auditor coincides with the deadline for adding a course — usually the end of the first week of classes. Professors typically hold auditing students to the same standards as those enrolled for credit and might not even know that you’re auditing until time to report midterm or final grades. Keep in mind that you may audit only one course per semester, audited courses do not count toward degree requirements, and you cannot repeat a course you audited for credit. Only the academic department in which the course is based can choose to make an exception to course capacity or prerequisite requirements. Contact that department’s main office to find out what your options are. A list of A&S departments is in our College directory; for non-A&S departments, visit ua.edu. Registration dates fluctuate a bit from semester to semester; look up dates for a specific semester by visiting the academic calendar or the registration and advising page on the UA registrar’s office website. In general, registration for current students begins in March for the upcoming fall semester and October for the upcoming spring semester. Incoming freshmen register during Bama Bound summer orientation. During the add/drop or “change of schedule” period, you can drop classes through myBama. After the add/drop deadline but before the 10th* week of classes, you can still use myBama to drop a course. The difference is that when you drop a course after add/drop, your transcript will show a “W” for that course. *For fall and spring semesters, add/drop ends one week after the first day of classes and the last day to withdraw with a grade of “W” falls around the 10th week of classes. During Interim, Winter Interim, and summer sessions, however, both intervals are considerably shorter. Consult the UA academic calendar at registrar.ua.edu for dates. The last day to drop a course with a grade of “W” typically falls at the end of the 10th week of classes during fall and spring semesters, the second week of Interim session, the third week of a five-week summer session, and the fourth week of a 10-week session. * These intervals, which are University of Alabama policy, are designed to allow you plenty of time to decide whether to withdraw from a course. Sometimes extraordinary circumstances arise, however, and when they do, a student may request an exception to the University’s withdrawal policy by filing a petition for late withdrawal. If the exception is granted, the student will receive a grade of “W” (which carries no GPA penalty) for the course on his or her transcript. The University sets a high standard for granting late withdrawal requests, and the conditions prompting a petition for an exception to the withdrawal policy should be serious. Not doing as well as you’d like in the class, having accrued too many absences, or deciding you want to change your major are not considered adequate reasons. Because late withdrawals must be approved at the college (not department) level, start the process by making an appointment with an advisor in the A&S Student Services Center in 200 Clark Hall. Download and complete the late withdrawal form (PDF) and bring it to your meeting with the advisor, who will discuss with you the reasons why you wish to drop the course and help you file the petition. The petition must be submitted to the Arts and Sciences Student Services Center by the Thursday prior to “Dead Week.” After this day, students will only have the option to withdraw from the entire term. *Consult the UA academic calendar at registrar.ua.edu for dates. During your next-to-last semester. Visit our graduation page for a complete graduation-prep checklist. Log in to myBama to complete a letter of transiency (found under the Student tab), which is essentially a contract between you and the University granting you permission to take a specific course at another school. After you complete the course, remember to request that a transcript be sent to the UA registrar so that you will receive credit. For more information, contact the UA registrar. Yes … and no. To graduate from The University of Alabama, your overall, UA, and major GPAs must be at least 2.0. Courses you transfer in from another school will affect your overall GPA, but not your UA GPA. Whether they affect your major GPA depends on whether your department accepts transfer credit toward major requirements. Learn more on our transfer credit page. Visit Undergraduate Majors on the University’s website or consult the latest Undergraduate Catalog to review lists of majors and minors.  The College of Arts and Sciences maintains a comprehensive list of A&S majors, minors, and special academic programs. How do I add a second major? Add or change a minor? If you want to change your major or minor to another field within the College of Arts and Sciences, simply log into myBama, then follow the change of curriculum link. You can add a double major there, too. A&S offers almost half of the 80-plus majors available at The University of Alabama, so it’s likely that the program you’re interested in is an A&S program. If it’s not, however, you can’t make that change online — you’ll need to talk to someone in the advising office of the college you’re interested in switching to. Consult the list of colleges on the University website for help. If you want to declare or change your major or add another major within the College of Arts and Sciences, simply log into myBama, then follow the change of curriculum link. If you are adding a double major, be aware that if the program you’re interested in is offered by a different division of The University of Alabama, such as the business school, you won’t be able to make that change online — you must contact the advising office of the college you’re interested in adding a second major in. Consult the list of colleges on the UA website for help. Not exactly. Pre-professional programs aren’t majors — think of them as “tracks” designed to guide students into the courses that will best prepare them for professional school after they complete their undergraduate programs. So while all A&S students are eligible to enroll in pre-professional programs, they must still declare academic majors and, in most cases, minors. Whether a particular program is a good fit for your talents and interests is something you should discuss with a College advisor. Make an appointment with the A&S advisor who handles the program you’re interested in. Our advisors are knowledgeable about program requirements and demands and can help you determine whether that course of study is the right one for you. While you can change your major through myBama, you can’t change from one UA academic division to another online. To make that switch, visit the main advising office of the college you’re interested in moving to. Consult the UA website’s list of colleges for help.